Want to eat something unique and tasty? 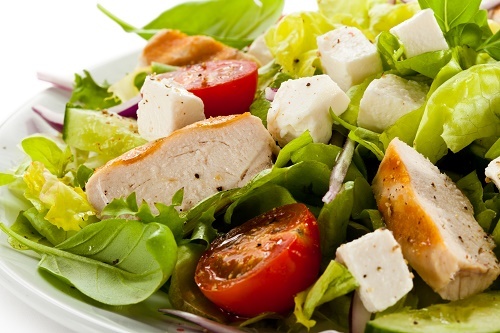 Try out Greek chicken salad. Mix salt, pepper, garlic powder and oregano. Sprinkle over the chicken and sauté over medium high heat until the chicken is cooked through. Set aside to cool. Toss the lettuce, tomatoes, olives, cucumbers and cheese with the chicken. Add the yogurt and mix well.